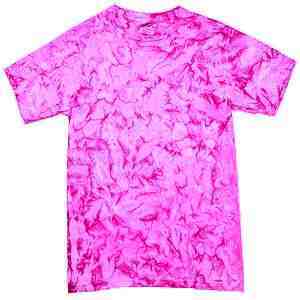 This pink camo style tie dye t-shirt is perfect for both man and women alike. For our lady wearers, this shirt is the perfect mix of classy and sassy. And for our fellas out there, nothing says "I am secure with my masculinity" quite like rocking a bright pink camouflage tie dye t-shirt. Don't let the boundaries of color confine you!